Lots of room for ball & shoes. Extra pocket for accessories & fits into my alley locker without a problem. The only thing is I think I prefer a separate compartment for my shoes because they don't stay on the shelf & always end up down in the bag. Other then that it is a great bag. 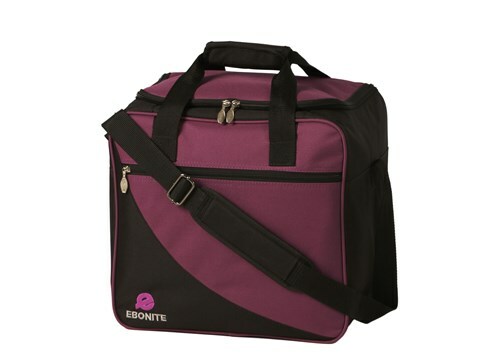 Due to the time it takes to produce the Ebonite Basic 1 Ball Tote Purple ball it will ship in immediately. We cannot ship this ball outside the United States.